The review panel in charge of setting rates for songwriter’s royalties reportedly issued the biggest rate increase for artists in its history over the weekend—a 4o percent hike. For the music streaming industry, which runs on thin margins, this could be an issue. For Spotify, a price increase for users could be inevitable, but the company has yet to respond to the news. The US government’s Copyright Royalty Board is required to periodically set rates and terms for copyright royalties, and this weekend it came to a decision on what songwriters and publishers will make from streaming services over the next five years. By 2022, the digital platforms will be required to pay 15.1 percent of the revenue for a streamed song to the songwriter, up from the current rate of 10.5 percent. Each year, the rate will increase by about one percent. According to the Associated Press, “recording labels will still be receiving $3.82 for every $1 paid to songwriters and publishers.” The final text of the new rules won’t be released until a review by the Library of Congress is complete, for now, it seems that the only losers in this situation are a few streaming services. “We are thrilled the CRB raised rates for songwriters by 43.8% – the biggest rate increase granted in CRB history,” David Israelite, CEO of the National Music Publisher’s Association (NMPA) wrote in a statement. The NMPA combined forces with the Nashville Songwriters’ Association International to petition the board to make changes to its rates. According to Variety, the two groups initially requested “the CRB to grant [writers] the greater of 15 cents per 100 streams or $1.06 per user per month.” The final decision still pegged the rate to revenue, but the publishers were pleased. Mitch Stoltz, senior staff attorney at the Electronic Frontier Foundation, told Gizmodo in a phone interview that most people in the industry—artists, labels, streamers—recognize that the current system for mechanical licensing has a lot of problems and it’s just too complicated. There’s also legislation in the House and Senate right now, known as the Music Modernization Act, that’s being touted as a way to simplify our complicated royalty system. The Recording Industry Association of America (RIAA) and the tech world seem to both believe that the Music Modernization Act is a step in the right direction. But if the big streaming services pushed back against the CRB royalty increases, why was Apple the only one to defect? I can think of about 50 billion reasons why. That’s the number of dollars Apple will soon be bringing back to the US. That’s a lot of cash to help you ride out any bumpy times your competitors might encounter in the near future. Yes, Google and Amazon have plenty of money as well, but Apple has a deeper toehold on the music industry thanks to iTunes. For all three tech companies, music is a side business that creates synergy with all of the other products they offer. For Pandora and Spotify, music is the whole game. Pandora is still the most popular streaming service, according to a recent survey by Edison Research. But Pandora launched its IPO years ago, and it’s decidedly screwed, with or without the rate hike. Pandora lost 63 percent of its stock value in 2017. But in Spotify’s case, the streaming music company reportedly filed confidentially to go public in 2018. A Spotify stock offering is considered imminent, and the news that it’s going to have to pay more in royalties couldn’t have come at a worse time. Spotify loses a lot of money. In 2016, Spotify doubled its losses from the previous year and burned through $581 million, with $3 billion in revenue. But according to The Information, things improved in the first half of 2017. Losses for 2017 were on track to be around the same, but revenues were up 20 percent compared to the previous year. Earlier this month, Bloomberg reported that Spotify’s pitch to investors will unsurprisingly rest on its user growth, rather than profits. When Netflix puts out a price hike, people freak out and mostly continue to pay for Netflix. Some people love Netflix and its earnings reflect that. Even though Hulu and Amazon offer strong competition, Netflix has dug in on its original content, setting it apart from the rest. 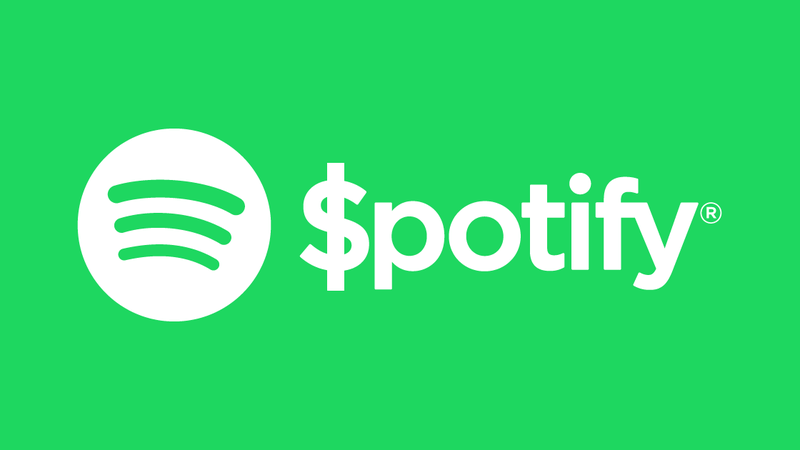 We don’t know for sure if Spotify will eventually raise its prices for subscribers to compensate for the royalty rate hike, but it’s going to have to show investors how it plans to close its profit gap, and a price increase for users is one option. The question for Spotify will be whether it’s unique enough for the public to be able to justify paying more. That seems very questionable, and if Spotify did make such a change, a company like Apple could hold out at the $10-per-month tier for a long time.